Tonight I had the privilege of attending a very special dinner tonight. 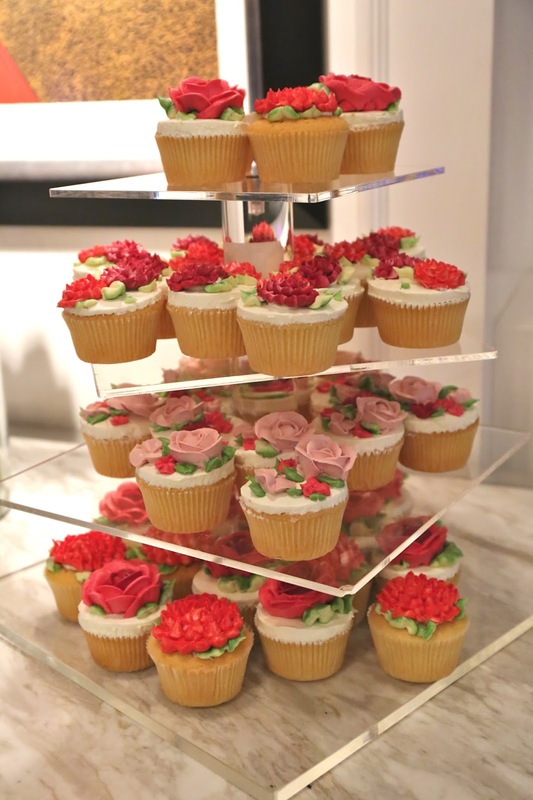 My friend had decided to celebrate a big birthday with two other ladies, and planned a big bash at Amuse Bouche. One of the highlights of the bash was to be a blind tasting game, whether a selection of Bordeaux First Growths would be served and we would have to guess their identities. I was, of course, very grateful to my friend for her kind invitation... and dutifully put together an ensemble that roughly complied with the "black tie" dress code. I knew I would have a good time the minute the doors of the elevator opened. Someone had put together a playlist for the evening, and Vienna from Ultravox was playing. That set the tone for the rest of the evening, and with the exception of a couple of WTF songs from the likes of One Direction - no doubt catering to the taste of the kiddies in their own play room - the music rarely strayed. We started with some Champagne as we waited for everyone to arrive. 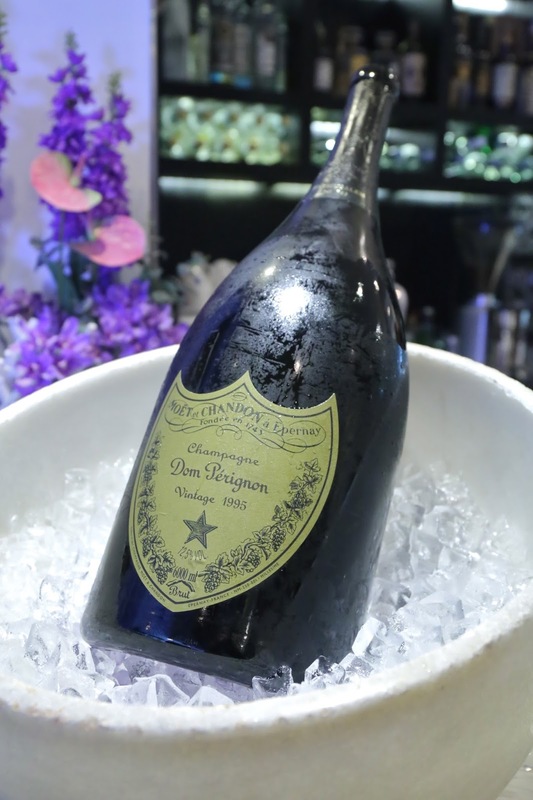 To make sure that there was enough for the 40-odd guests, my friend brought out a methuselah of 1995 Dom Pérignon. Big nose of toast with some yeasty notes. Very lively on the palate, rounded with some maturity, but also very good acidity. Black truffle crostini - these were pretty good. Certainly plenty of black truffle flavors. Deep-fried prawn with basil - wrapped in filo pastry and basically the same as Robuchon's dish. The basil leaf delivered wonderful fragrance in the mouth. Then it was time to sit down for dinner. 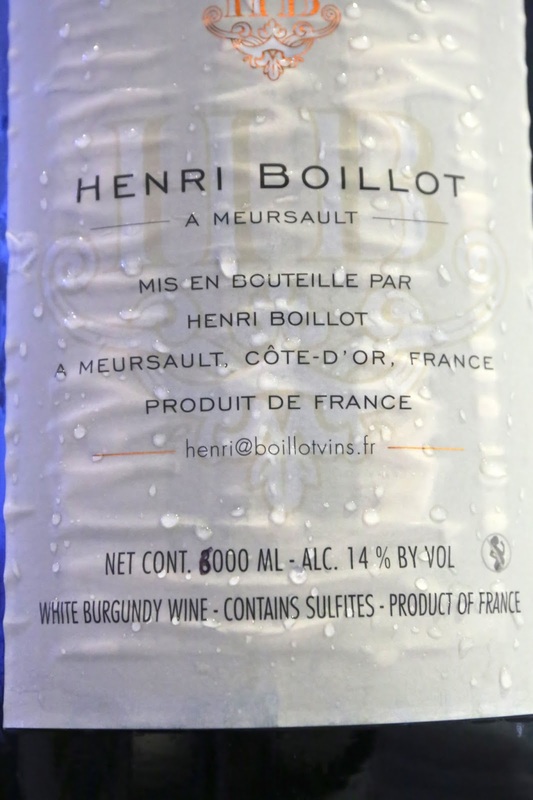 This was when we started getting served from the second methuselah - 2010 Henri Boillot Corton-Charlemagne. Big and toasty nose, plenty of oak here, with lemon citrus notes. Ripe on the palate with acidity on the finish. Very metallic and mineral after some caviar. After 2 hours, really opened up very well. A beautiful wine. 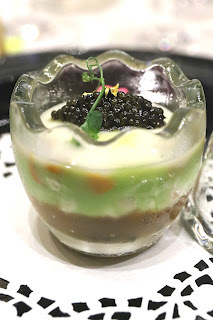 Les Caviar: blue crab meat with crustacean jelly, sea urchin and Oscietra caviar, cauliflower puree - there was caviar both at the bottom as well as on top. The crustacean jelly at the bottom packed plenty of flavors, and I could definitely taste the sweet and creamy sea urchin as well as the sweet cauliflower. A lovely, cool dish to kick off dinner. Abalone: slow cooked South Africa abalone with mashed leek potato and New Zealand razor clam in Provence style - interesting to have the different textures of abalone and razor clams in the same dish... and both were very tender. The leek foam was pretty tasty, and there were cubes of radish, carrot slices, and bits of black truffle hidden inside. Bresse quail: pan fried Bresse quail with goose liver crème brûlée, sauce reglisse - a little disappointing, because the slices of quail were just too thin and not satisfying enough. The sauce reglisse and the (fennel?) delivered some nice and sweet flavors. Meat from the leg was minced and done as a croquette on the side. The real winner? That foie gras crème brûlée on the side. OMG. So creamy and rich. So sinful. Apple tart: crispy green apple tart with gelato coconut ice cream - very thankful that the apple tart came in the wafer-thin variety... Not bad. 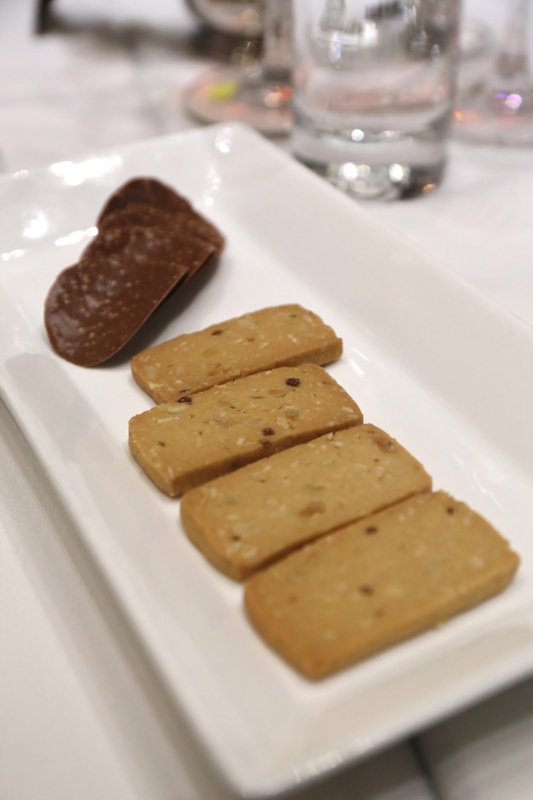 Now, there were 20 of us who participated in the "tasting game". The identities of the wines were already announced beforehand, so this would be a semi-blind tasting. All 6 wines were tasted side-by-side. Five of the wines were opened 4 hours before serving and decanted 30 minutes after opening, while the '61 was opened 30 minutes prior to serving and decanted 15 minutes later. 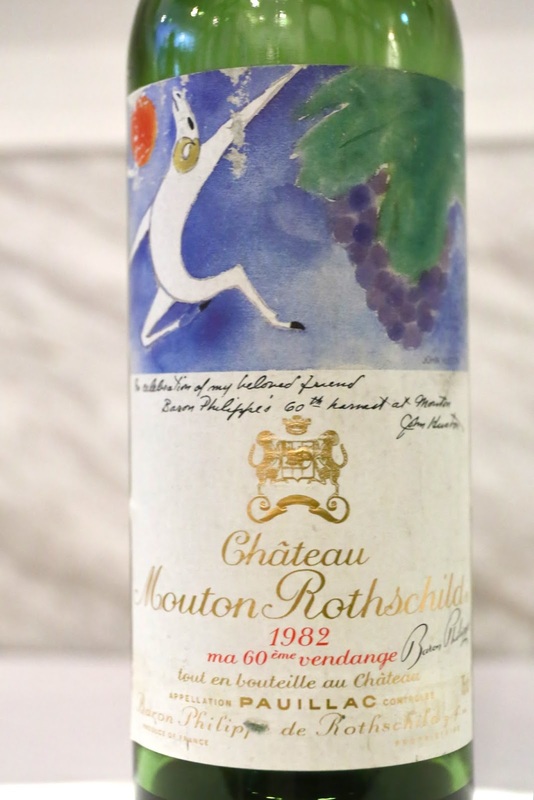 1982 Mouton-Rothschild - nose of pencil lead, smoke, and mint. Definitely a Pauillac. Still some fruit here, slightly earthy and stinky. A bit light on the palate. 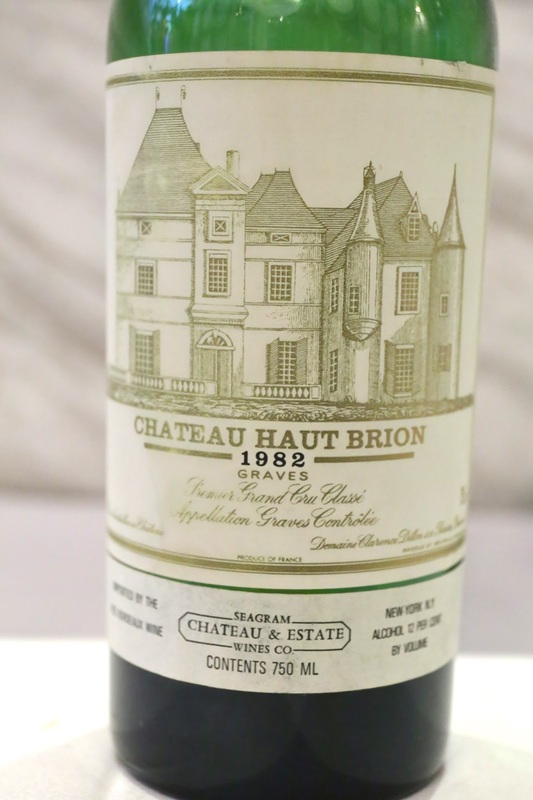 1982 Haut-Brion - a little stinky and a bit medicinal. Later on some soy sauce notes. Least enjoyable wine of the evening. 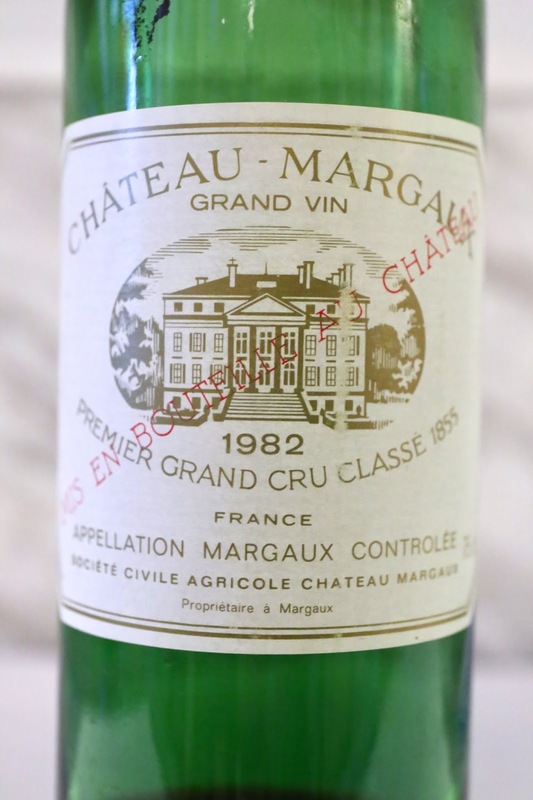 1982 Margaux - smoky nose with cigar notes. Lovely. 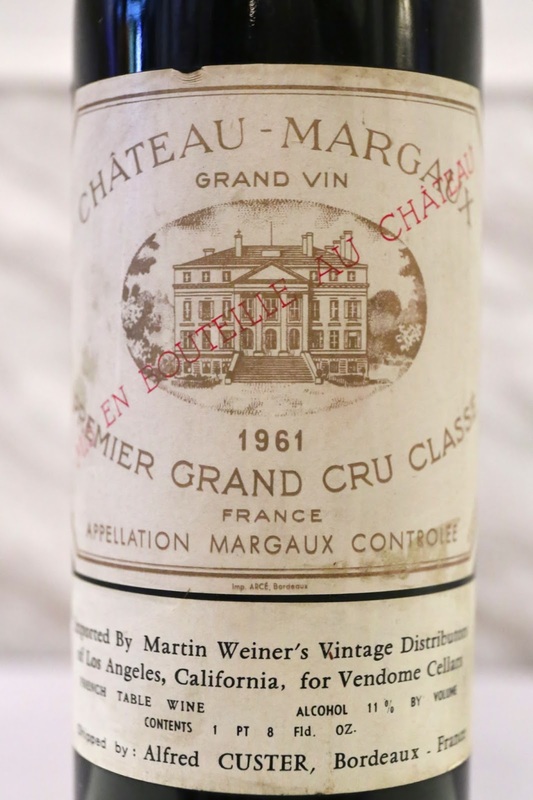 1961 Margaux - the lighter color gave it away. Nose was very sweet and grassy. However the nose faded very fast so I stopped swirling the glass, and the palate started to turn acidic. Some fruit here but started to smell some stewed prunes, with a bit of medicinal notes. There was almost a little bit of sour plum juice (酸梅湯). 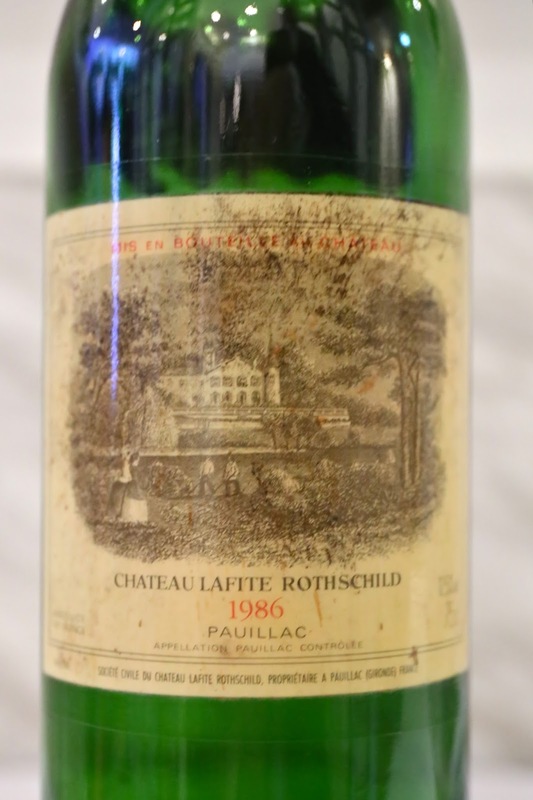 1986 Lafite-Rothschild - nose was more closed, minty, with some smoke, slightly exotic spices. Opened up later to show more exotic sweetness. 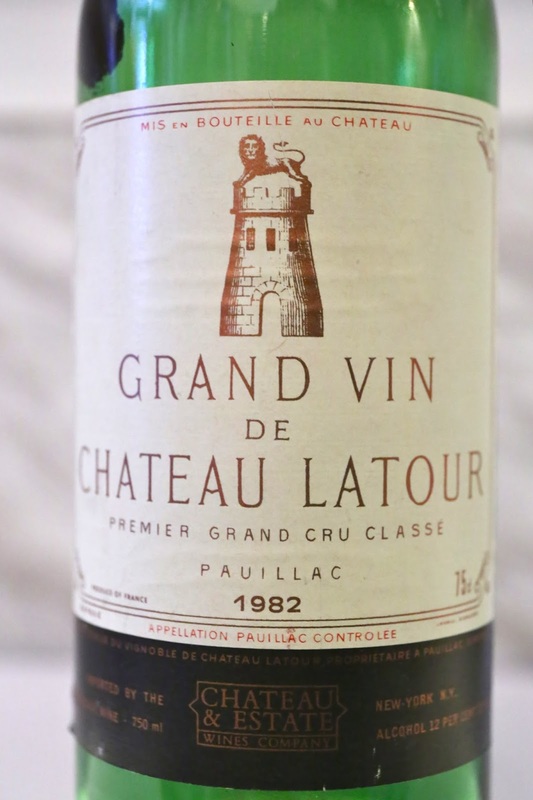 1982 Latour - nose was open and a little opulent. A little leather and also a hint of medicine later on. A bit lighter on the palate. Favorite wine of the evening. I also got a taste of the red served to the guests who weren't participating in our game. 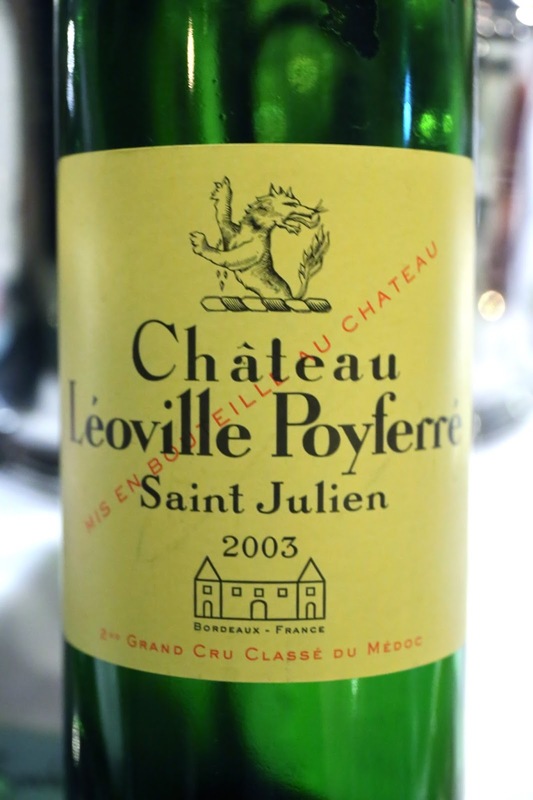 2003 Léoville-Poyferré was a little cedar and smoky. Tannins still here. Awesome cookies. Couldn't resist taking a second one... and really wanted a third one.